Articles are in PDF Format and are easily read on screen. If you prefer you can print the article and then read it. 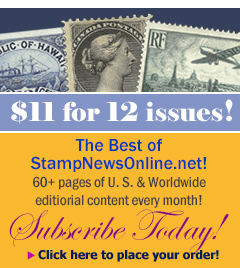 When you subscribe to Stamp News Online the Index will give access to back issues up to 1 year.